Greetings from Shikoku Island. The bridge in the distance is the Onaruto Bridge, part of the Honshu-Shikoku Expressway. I have to continue on the US-Japan Bridge Tour, so I will write more about this and other bridges later. 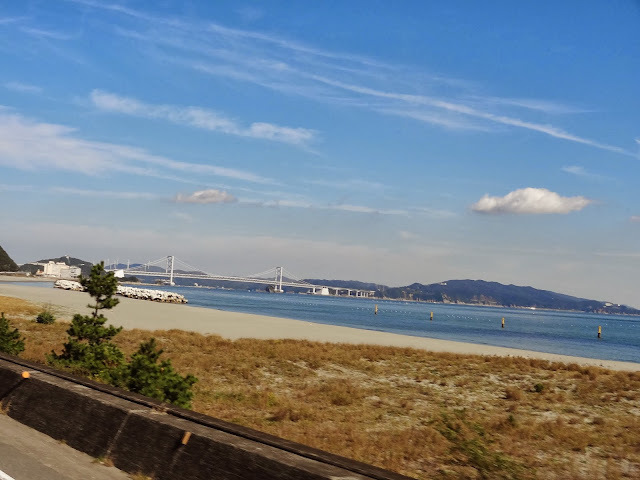 Tokushima Prefecture, Japan Bridges: Ōnaruto Bridge across the Naruto Strait (1) by Mark Yashinsky is licensed under a Creative Commons Attribution-NonCommercial-NoDerivs 3.0 Unported License.